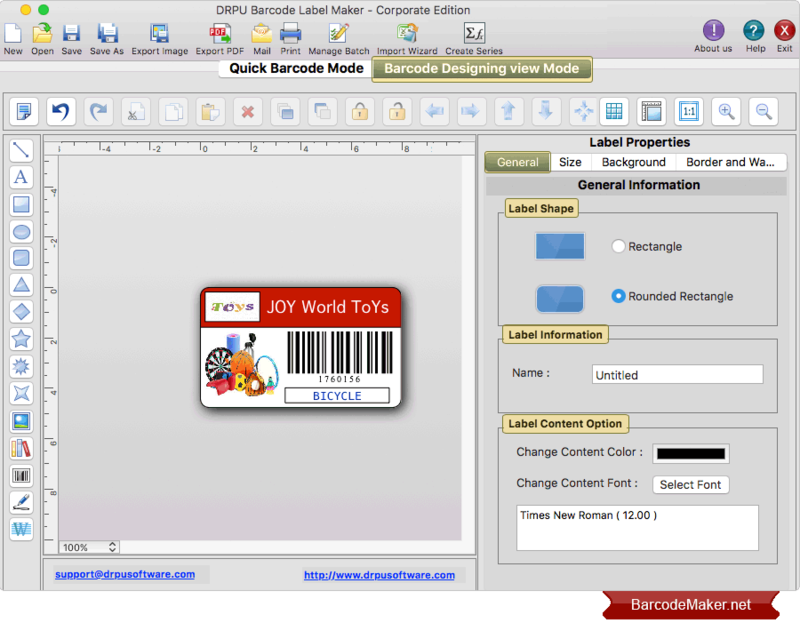 Design barcode label as per your requirement using various drawing tools including line, text, rectangle, ellipse, triangle, star, images, barcode, signature, watermark etc. 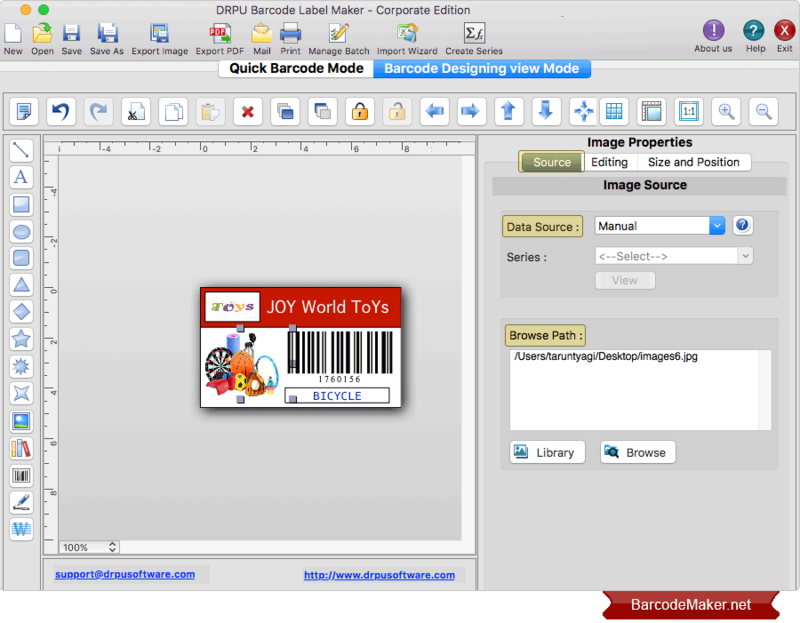 Software provides option to add image on barcode label. You can browse path of image saved on your MAC or you can also select image from library. 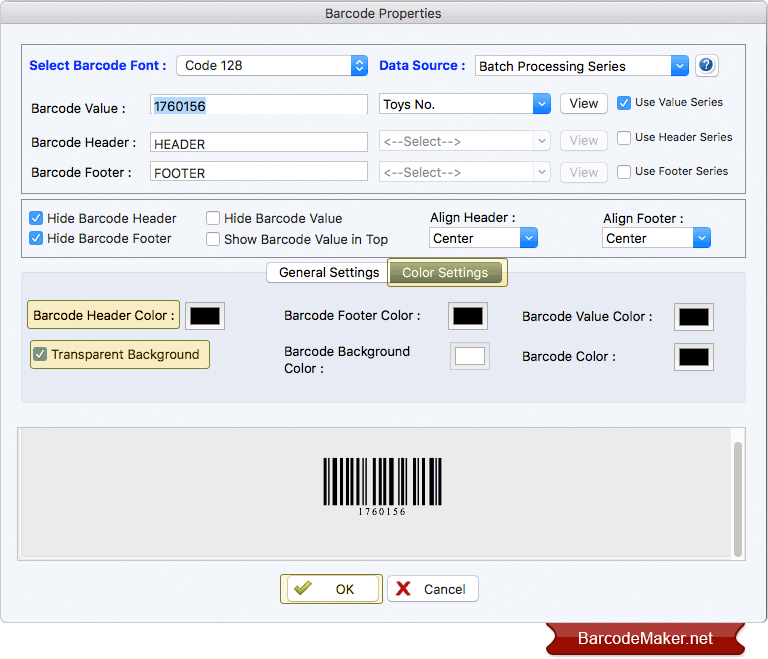 Add barcode on label by clicking on barcode option and fill barcode properties such as barcode font, barcode value, barcode header, footer etc. 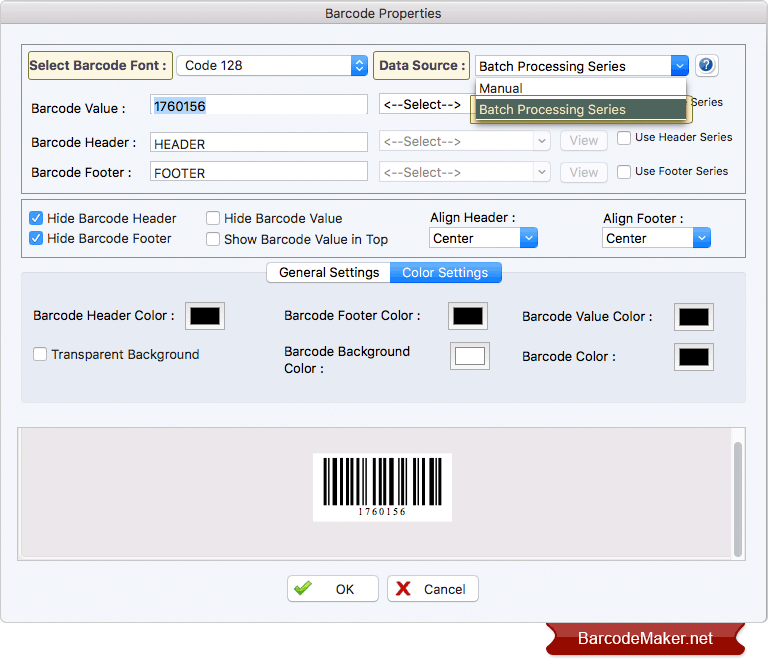 Program has feature to set background of barcode label as transparent. In Color Settings, check on Transparent Background option to set transparent background. 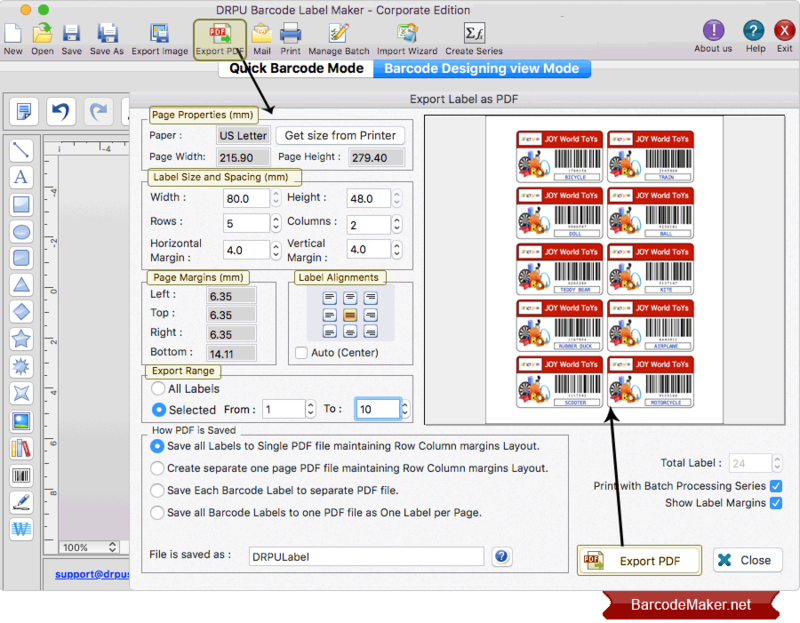 You can save or export created barcode labels in PDF file format. Click on Export PDF option and fill various properties and then click on Export PDF button.